Feed me Seymour!, originally uploaded by Erin *~*~*. This is a tiny Venus fly trap in bloom – have never see this before! 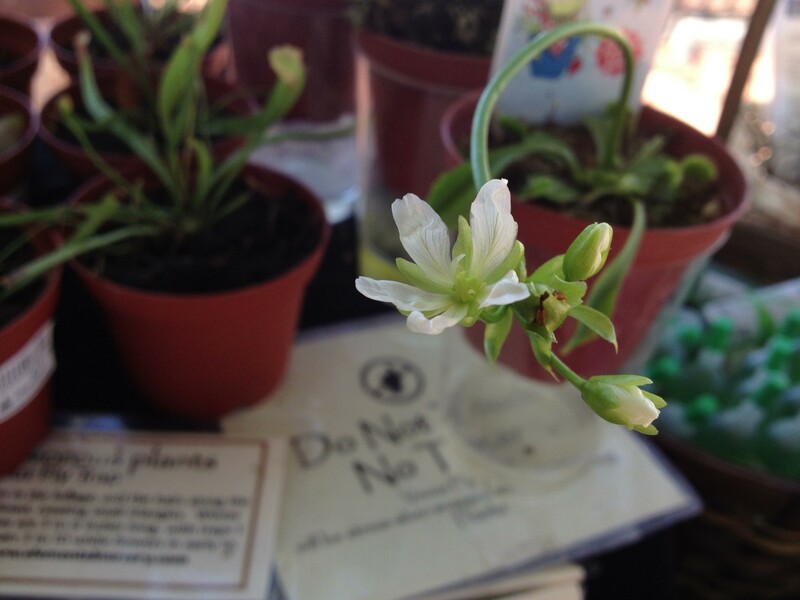 The bloom is vey small and delicate – could fit a couple of them on a dime. Fragile yet feisty!